Congratulations to the gifted mathematicians at Highclare Senior School who entered the Intermediate Maths Challenge 2019. A nationally recognised competition, the Mathematical Challenges aim to stimulate mathematical problem solving in students year 11 and below. Only the top 40% of students receive a certificate. The top 6% receive gold, the next 13% silver and the next 21% bronze. 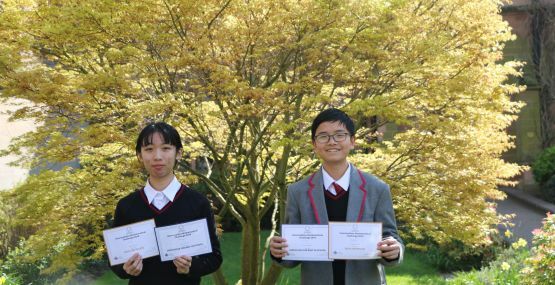 Gold certificates have been awarded to Hanhong Lin, L5 and Tim Pan, U4 placing them in the top 6% of participants! Around 500 of the highest scores in the UK from year 9 (U4) are invited to take part in the Intermediate Mathematical Cayley Olympiad paper, Congratulations Tim Pan who has qualified for this challenge, a fantastic achievement for a L4 pupil. Hanhong Lin also qualified to take part in an additional challenge, the annual Kangaroo contest. Top performers in the Intermediate Maths Challenge join pupils from over 50 countries during this extension to the Intermediate Challenge. 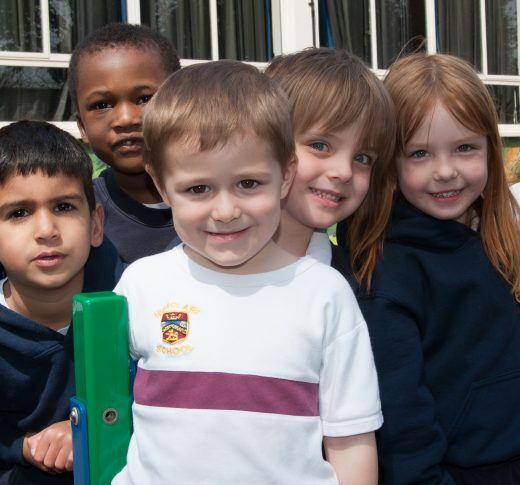 We wish both pupils the best of luck! Congratulations to all pupils awarded certificates, a fantastic mathematical achievement.